Wilshire Health and Community Services welcomes Tom Sherman as a new addition to its Board of Directors. Tom currently serves as Executive Vice President and Market President for Founders Community Bank, a division of Premier Valley Bank. 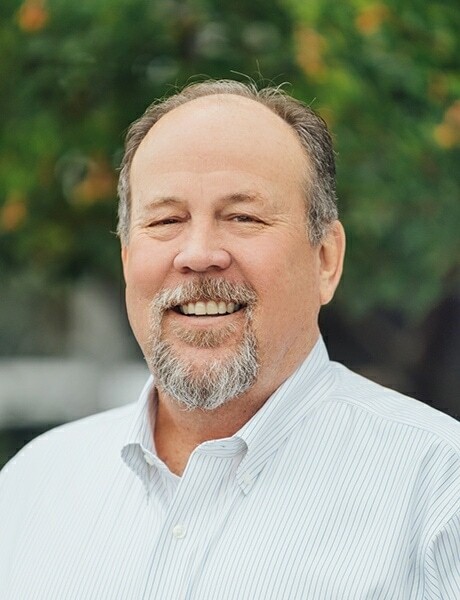 Tom is a lifelong resident of San Luis Obispo and a long-term Board Member, Treasurer, and overall supporter of many local non-profit organizations county-wide. He joins the board with vast experience in financial operations and executive level leadership. Tom previously served as the CEO of Founders Community Bank, prior to the bank’s acquisition by Heartland Financial USA under its California subsidiary, Premier Valley Bank. Tom also previously served in executive roles as the President, Chief Operating Officer and Chief Credit Officer for Coast National Bank, as well as Senior Vice President of commercial lending with First Bank of San Luis Obispo. Tom’s commitment to Wilshire’s mission developed from his own family’s experiences with Wilshire Hospice over the last decade. His first hospice experience profoundly changed his perspective and appreciation for many end-of-life challenges when his mother-in-law was battling end-stage ovarian cancer. Tom called Wilshire Hospice in to assist. It was at this point that Tom realized how integral hospice care was – and not just for the patient, but also for the whole family unit. He shared, “Wilshire Hospice went beyond the care of the individual. Their team delivered broader support for the entire family, giving assistance to us in our decisions for both the care of the individual as well as the grieving process for the entire family. I found that this process is so different for everyone. The support given to us was not just vital, but also so welcome. Wilshire supported us all so that we didn’t have to individually carry this burden alone. We found that Wilshire’s support eased the pain of our loved one’s passing at a most difficult time.” Since his experience, Tom’s family has called on Wilshire Hospice several times over the years for his family’s end of life support. He has become an incredible, long-term advocate for Wilshire and all of its services – and routinely recommends Wilshire to everyone he meets when they too are faced with end-of-life challenges. Tom’s passion for San Luis Obispo’s non-profit community is evident in his leadership and volunteer roles. He currently serves as the Chair-elect of the San Luis Obispo County Community Foundation. He also served for many years as the Board Chair and Treasurer for the Women’s Shelter Program of San Luis Obispo, and as Board President of the SLO Noor Foundation. Tom’s achievements and his dedication to mission-based work in this region far exceed this list. The Wilshire family is looking forward to serving the San Luis Obispo community through hospice, home health and community-based support, with Tom’s leadership and guidance.